How to create a PDF/A file? 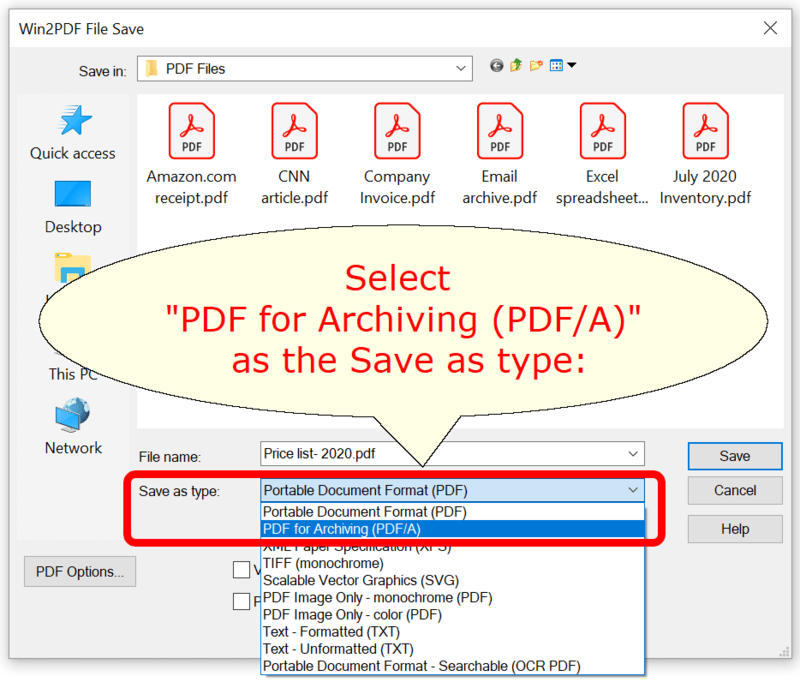 To create a PDF/A file, you'll just need to print to Win2PDF and then choose the 'Save as type:' to be 'PDF for Archiving (PDF/A)'. When the PDF file is saved, it will still have a .pdf file extension, but it will be formatted in compliance with the PDF/A standard.